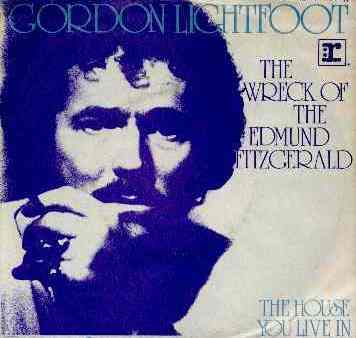 Lyrics to Gordon Lightfoot’s “The Wreck of the Edmund Fitzgerald” (1976). With a crew and the Captain well-seasoned. © 1976 Moose Music, Inc.
Failboat No. 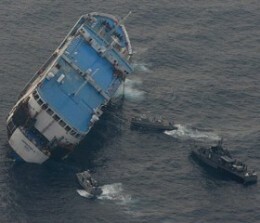 9—SuperFerry 9, a 7,268-ton ferry carrying upwards of 1,000 passengers capsized Sunday in the southern Philippines. Times Square car bomb fails to explode—“We avoided what could have been a very deadly event,” said New York Mayor Michael R. Bloomberg at a press conference. 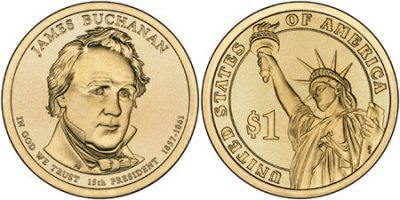 James Buchanan Dollar Coin—Earlier this week, the United States Mint released the latest coin in the ongoing Presidential $1 Coin Program, this time featuring our “worst president,” James Buchanan (1857-61).